Publications (since 2006) have included studies of macrofossils of Permian and Triassic land plants aimed at better understanding of their phylogeny, evolution and contribution in phytostratigraphy. Had experience of participation in projects aimed at addressing the following problems: biodiversity change near the Permian-Triassic Boundary in the plant-bearing transboundary sequence of the Moscow region; phylogenetic assessment of the new forms of transitional morphology between Permian peltasperms and dominant Mesozoic groups; the role of plant-arthropod interaction (abundantly preserved leaf damages) and of climate change. 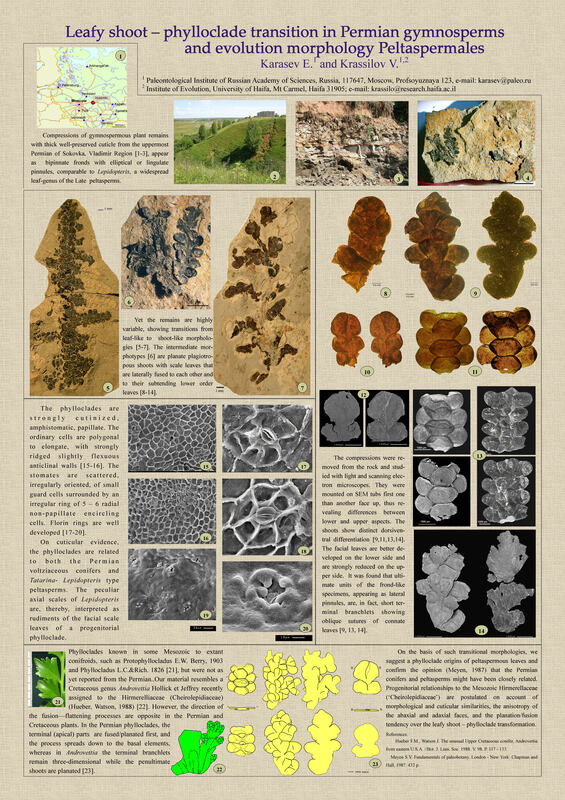 PhD thesis: “The change of palaeofloristic assemblages in the transitional stratigraphic interval at the Permian-Triassic boundary in the Moscow syneclise” at A.A. Borissiak Palaeontological Institute (2009), supervised by Prof. Dr. V.A. Krassilov.